It’s Friday evening, the working week is drawing to a close and we’re all looking forward to a nice chilled weekend. 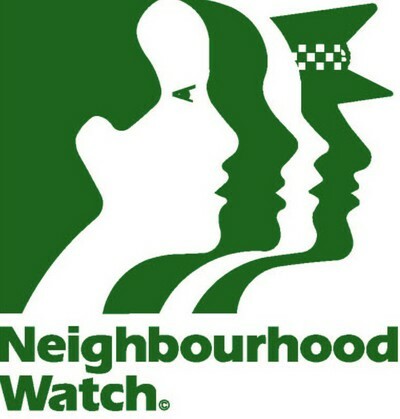 We hope you’ve all taken something from our home security tips over the last few days and your more security conscious. With break-ins an unfortunately regular occurrence as of late here at HomeWise.ie we’ve been brainstorming different ways of guarding your “gaff”. Naturally the most obvious and most effective method is a home alarm system but these can be costly to install from scratch. Why not invest in a motion sensor to scare off potential thief’s or If you have the room a dog can be a great way of keeping your house safe and you’ll save a fortune on gym memberships. If that doesn’t do it for you why not get one of our “dummy” replica CCTV cameras to keep the burglars at bay? Check them out here for just 33 euro. Today’s post is all about being security conscious and while many of these security tips may seem quite obvious many people don’t use them. Thieves look for an easy target and will avoid any premises that may involve alerting the owner or people in surrounding homes. This should go without saying but never leave a spare key under a flower pot. Always lock windows and doors if you’re leaving the house. Never leave car keys within view of the front/back door or windows. If a salesperson calls ask to see ID never let one in your home without it! We hope you found yesterday’s post useful. 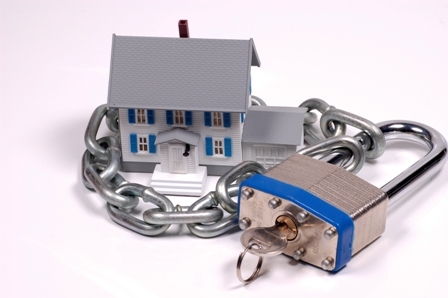 Today we’re going to focus on home security systems that you can use to protect your home. While these can be costly they can can scare off a lot of potential thieves who won’t risk getting caught in the act. 4.12% increase taking place between July 2010 and June 2011. Dublin ranks highest for break-ins accounting for 42% of the overall figure. 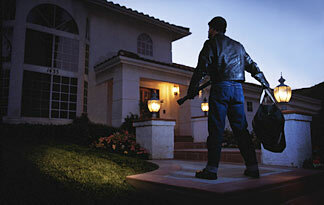 The following are three ways in which you can scare off a burglar from coming near your home. Motion Sensors – Motion sensors are a great way of scaring off potential thieves and can be purchased and installed cheaply. You can have these put up at your front/back door or both and are highly effective. Guard Dog – A dog can be a brilliant way of scaring off thieves but make sure you have the time to take care of it. Stick up a “beware of dog” sign on a side gate to give prior warning to anyone looking to break in. Alarm System – A good alarm system can be dear to have fitted but it’s probably the second most effective method of home security. Ring a number of different providers to avail of the best quote. We hope you all had a great weekend and are easing back into things today. This week we’re focusing on home security and how you can protect you’re home from attack. 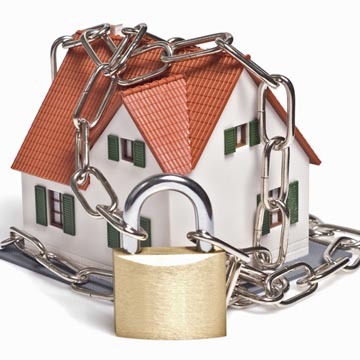 We have five days worth of the top home security tips to help protect your home. Check back each day and try and incorporate some of the advice we’re offering. Today’s home security tips can be done with the assistance of your neighbours who are one of your most powerful home protection tools. 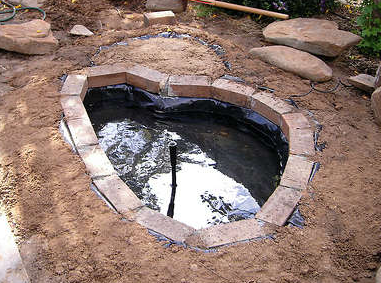 A pond can give great life to a garden but can be costly to have installed. 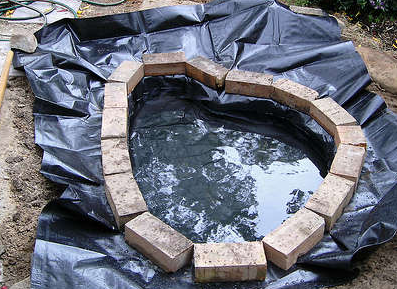 Today we’re going to show you how to make a garden pond with visual aids courtsy of the guys at instructables. Get digging! Base the size of the hole on the amount of space you have available to you. Leave extra room at the sides so rocks can be put in. Use the plank of wood and spirit level to determine how even the sides are and adjust if necessary. It’ll be near impossible to get it spot on the first time. Take your liner, which you can get from any garden centre, and use it to cover the hole. Use bricks to hold down the liner and your hand or feet to press the liner snugly into the walls of the hole. When you’re happy with where the liner is placed fill the pond up half way with water and place bricks around the edges. Use this time to ensure you’re happy with the shape and size of the pond. Once your completely happy with the overall look begin to fill in the dirt you gathered when digging the hole. 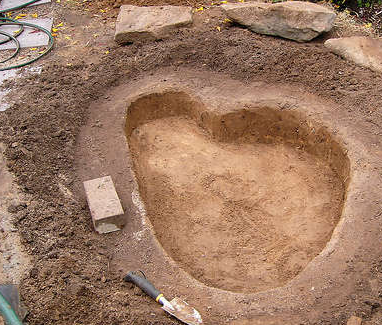 If you want to put in a small pump or fountain then make sure you do this before you fill in the dirt. 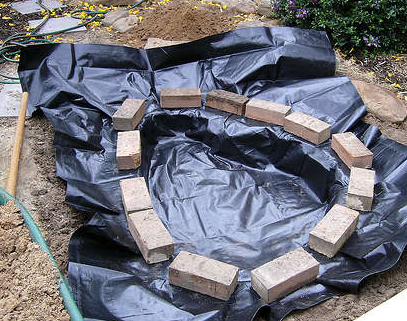 Use cement to fill in any gaps between the bricks and leave to dry for 3-4 hours. 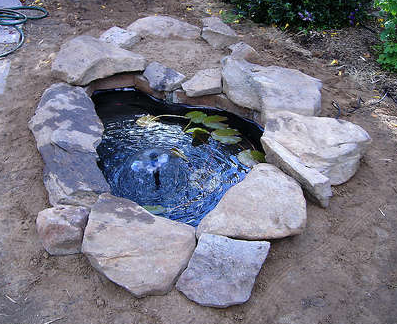 Find or buy some slate style rocks like the ones in the above image and you can give your pond a really nice finish. What else? Sit back and enjoy. Hope you found this post useful. For the next week we’re going to run posts on how to build different things for use in the garden or around the home. Today’s post will look at how to build a garden bench. Place the two stumps in your garden and the plank on top. For extra security you can drill some screws from the plank into the stumps. 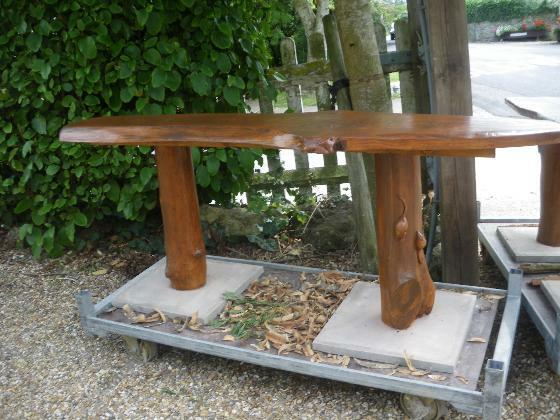 It’s not going to look smooth and slick like one you’d buy in a shop but it’ll have a lot of character and look great in your garden. Wooden floors are great! They look great, hold less germs than a carpet and are easy to clean. What’s not to like? 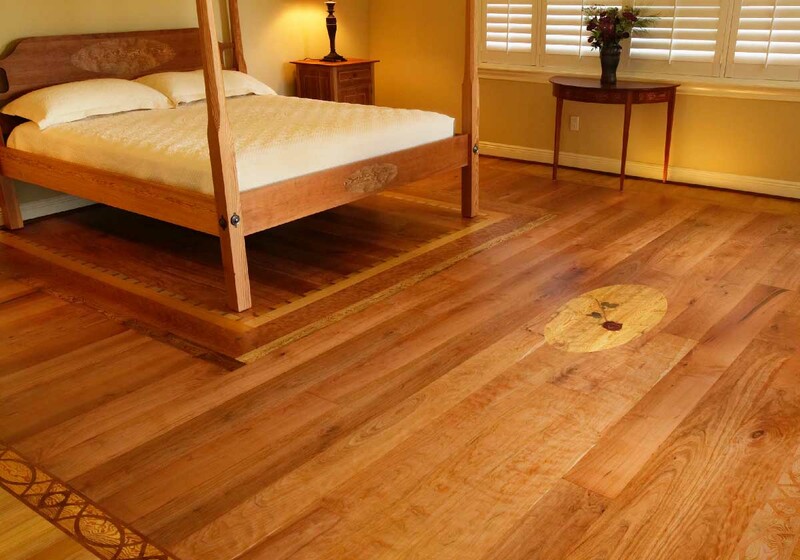 Many of us have wooden floors in our homes and encounter the same problem – dullness. To get rid of this dullness you can sand it down and re-varnish to finish it off. Sounds pretty easy right? Well it is. Obviously we’re not going to recommend you get down on your hands and knees with a handfull of sandpaper. I mean you could but that’d take an awuful lot of time an effort to say the least. Rent an electrical floor sander or hire a specialist to come in and do it for you it won’t cost an arm and a leg and the return on investment will be well worth it. Close the door! when sanding dust will naturally travel and if your not careful will end up everywhere. And that’s it. Sanding can take some time depending on the age of the floor or the dullness that has set in so play it by eye. Happy sanding! You are currently browsing the HomeWise.ie blog archives for April, 2012.